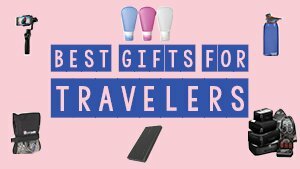 Traveling is already an exciting experience on its own, but being able to experience a unique hotel every now and then makes your trip even more incredible. Staying in hotels doesn’t need to be boring, there are literally hundreds of amazing experiences you can get just from your hotel alone. Check out some of the most unique hotels around the world, you may never end up leaving your hotel if you end up in one of these! I have been among the lucky travelers to have stayed in TripAdvisor’s best hotel in the world 2016: Umaid Bhawan Palace. 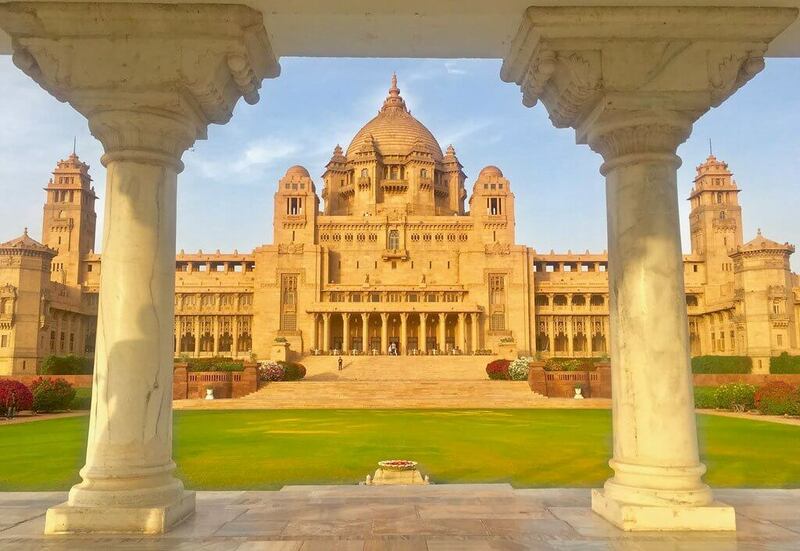 This insanely huge palace in Jodhpur, India does not look like a hotel at all. The Royal family is still living in a section of the palace and every minute I spent in here I felt like a royal. Upon arrival, I got dressed up like a royal and welcomed by a 15-minute dance performance with drums and champagne before I was escorted to the Presidential Suite with a private dining room, a private spa, two separate living rooms and an incredibly large bathroom. Every morning I was woken up with champagne served in our bed by our private butler. The hotel tour was incredibly interesting as I got to see the Royal family and learned about the history of the palace and the city of Jodhpur. This hotel was by far the most incredible place I have ever stayed in! The Sextantio Le Grotte Della Civita is located in the ancient Italian town of Matera. Matera is located in the Southern Italian region of Basilicata and is a city of the Sassi (stone in Italian), with its inhabitants living in cave like dwellings. This city dates back 9,000+ years to the Paleolithic era, but the Italian government condemned the city in the 1950’s due to disease. 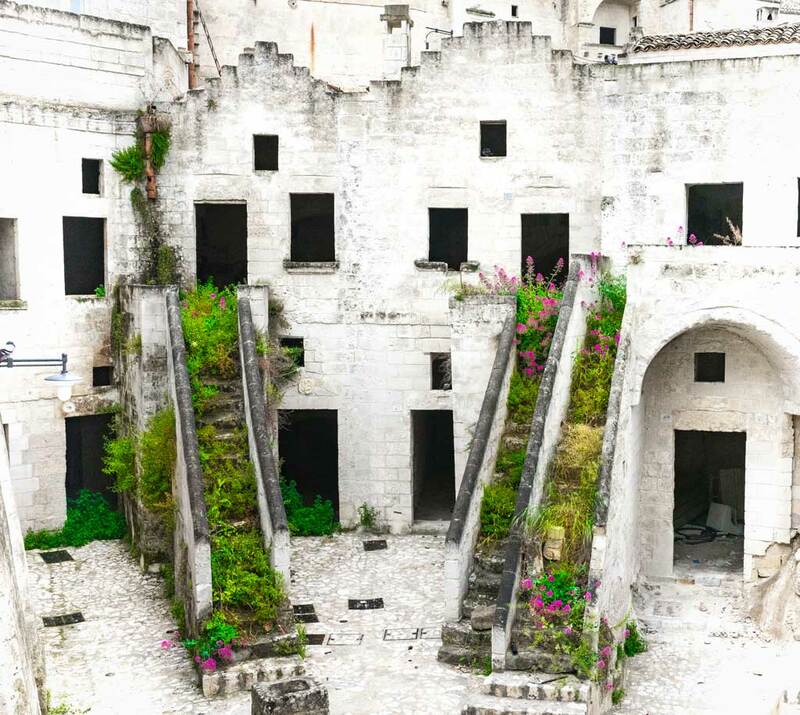 Nearly 70 years later, Matera is now a UNESCO World Heritage Site with a 5-star Sassi hotel called Sextantio Le Grotte Della Civita. The Sextantio Hotel boasts 18 unique suites elegantly carved into the ancient rocks of Matera. Each room is distinctive and boasts stone floors, elegant candlelight, a king bed, and a romantic bathtub. 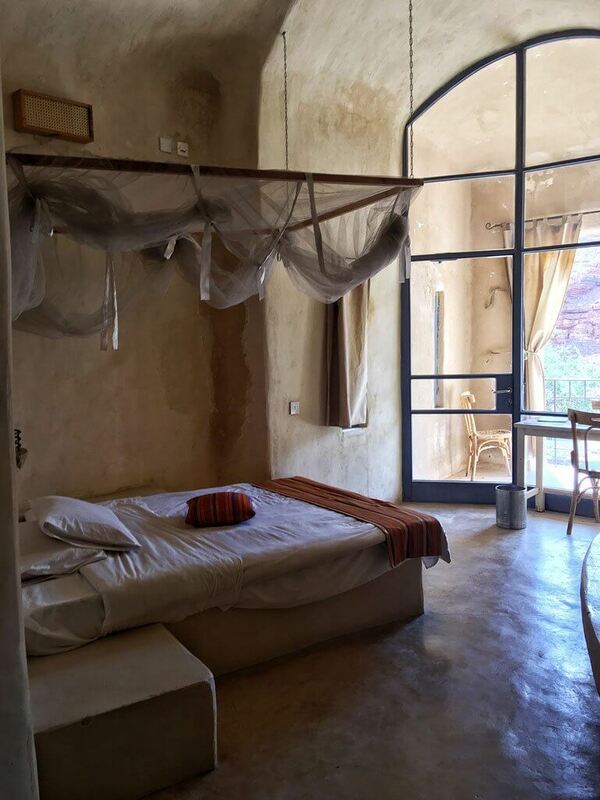 With 5-star service and designer décor, it’s hard to believe that you’re sleeping in a 9,000-year-old cave! 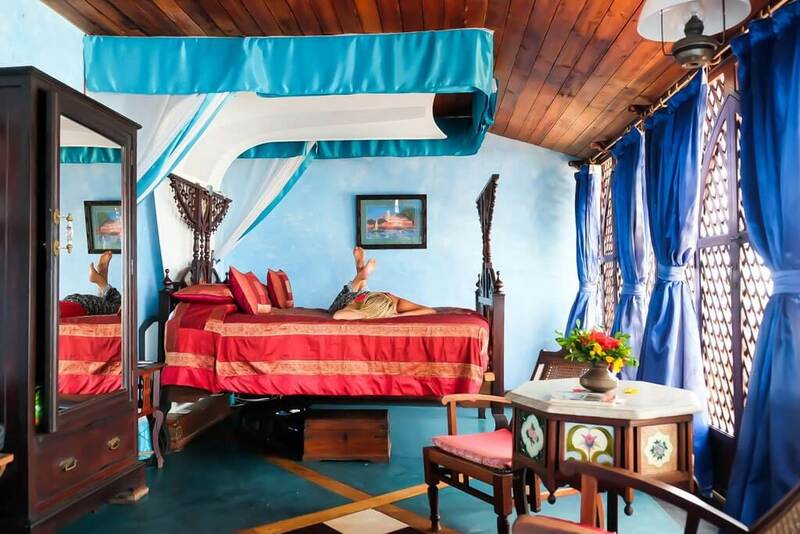 Emerson Spice is an old restored Merchants house from the 1800’s that has been turned into a beautiful boutique hotel in the heart of Stone Town. 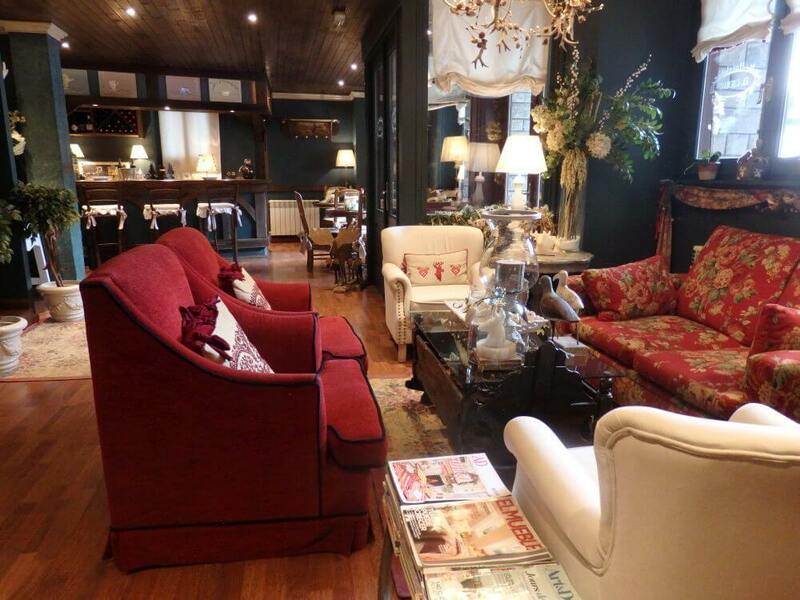 All the rooms and hotel furniture is filled with antiques from the 19th century. Every room is tastefully decorated and unique in design. Not only is the hotel beautiful, but there is a wonderful restaurant inside. The Secret Garden restaurant is hidden away in the ruins of the hotel and serves up some of the best seafood from the nearby ocean. The best part about it all is that it’s still incredibly affordable at less than $200 a night! Check for rates and availability here. Marina Bay Sands has the most unique infinity pool in any hotel I have ever stayed at. I have to admit, my eagerness to stay there was mostly for the infinity pool and it didn’t disappoint. The hotel is the center point of the Marina Bay skyline and with a surfboard sitting right on top. 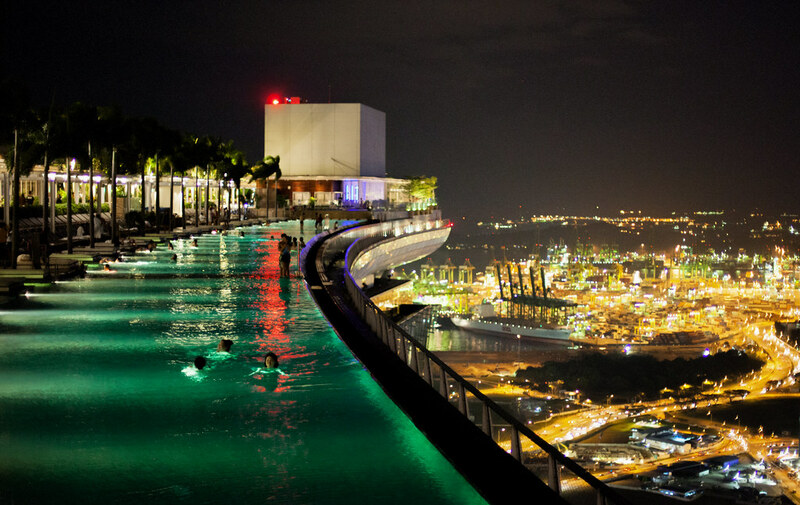 The ‘surfboard’ is where the infinity pool sits, on the 57th floor in the rooftop Skypark! The pool is located on the side looking towards Singapore and is the perfect place to relax with Singapore Sling and watch the sun set behind the city. 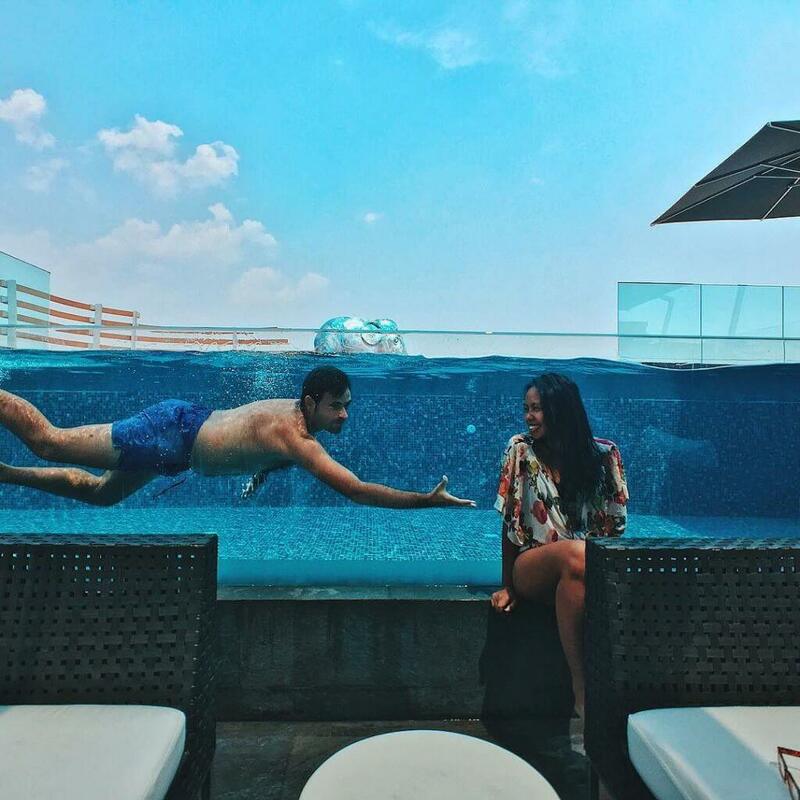 Singapore’s temperate weather means that you can pretty much enjoy the pool all year round. So while your reclining on pool lounge, sipping your cocktail under a fully grown palm tree, you ponder what the rest of the world is doing! The rooms are modern and large and what you would expect from a 5-star hotel, the pools the show stopper! Akyra Manor Chiang Mai is a member of SMH or Small Luxury Hotels of the world, and one of our favorite hotels in Chiang Mai Thailand. If you’re feeling to up your hotel game while in Thailand, but not really looking at the usual big five-star hotels of the world, the Akyra Manor is a good place to choose. Unique features include a really nice, transparent pool perfect for your Instagram moments, or just for a private dining experience. There’s also a high-end restaurant with sumptuous breakfasts! A stocked minibar in your room where you are given free cocktail of the day, which you can use to mix up with other drinks in your bar. There are also complimentary snacks day and night, delivered in your room as well as a very sweet beautiful bathtub. Rising out of the sands of the Liwa desert, Qasr al Sarab Desert Resort like a mirage. The entire resort is built in a similar fashion to a medieval Arab fort. The hotel is located in Rub’ al Khali or Empty Quarter. Qsar al Sarab provides a perfect base for exploring the desert while having a luxury vacation. The hotel offers spacious rooms with a desert view. Due to a small snafu on their website, I got an upgrade to a luxury suite. I had a massive patio to relax and enjoy the desert views. Most of the activities are held either in the morning or the evening. I rode a camel and watched the sunset over the desert and then the following morning I when dune bashing. My days were spent enjoying the pool and taking a couple of cooking lessons. During the winter, the resort offers horseback riding, falconry, and archery. Bruges is one of the fairy tale towns in Europe, and when you get to visit Bruges, you would surely want to stay in a hotel that fits in this atmosphere. One of the best options is the beautiful Hotel Heritage built in Victorian style, situated at only a hundred meters from the main square of the Old Town. 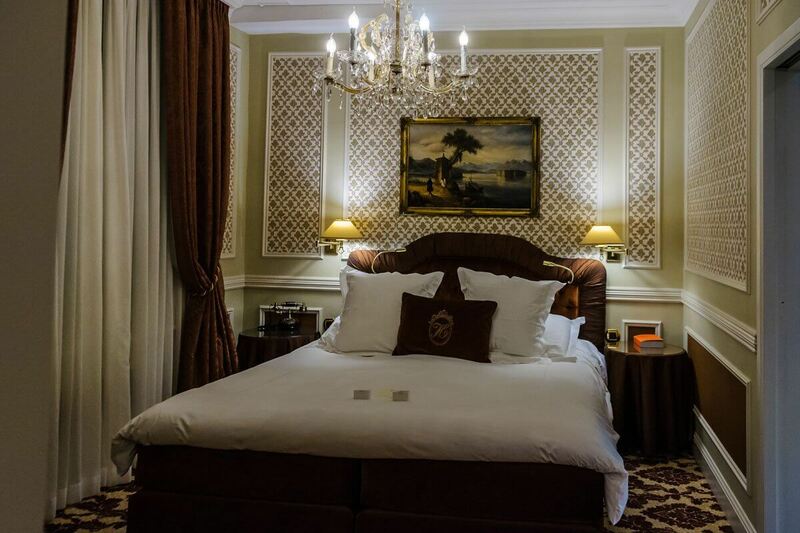 The current building with a rich history was built at the end of the 19th century, and both the rooms and common spaces in the hotel show the glamorous Victorian style. Staying at this hotel makes you feel yourselves in the middle of a meeting between counts and earls. The hotel has also a nice haute cuisine restaurant, where you can enjoy a luxurious meal prepared by a well-recognized chef. 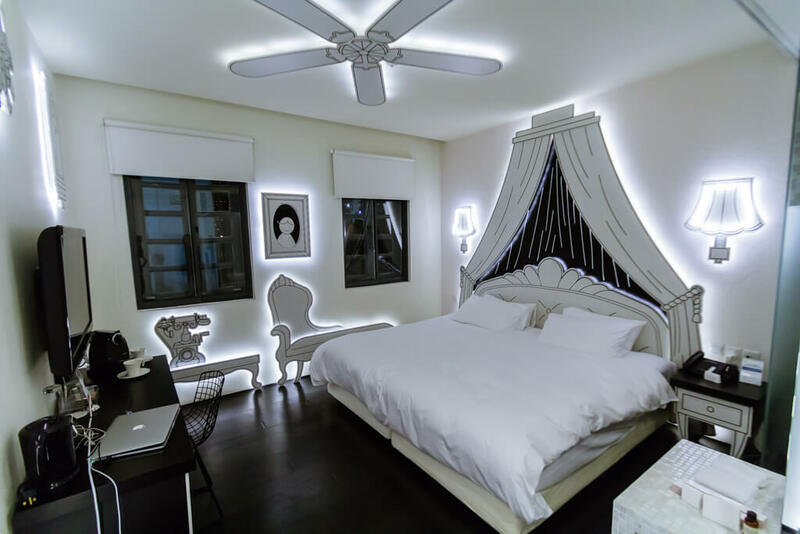 Wanderlust Hotel in Singapore is one of the most unique hotels we have ever stayed at. There are different themed rooms including rooms based on Pantone colors, outer space, and Pop Art like the room we stayed in. Our room was called the Princess Room and was decked out with black and white back lit wall installations. The entire room made you feel like you were in a cartoon. We loved the uniqueness of the place and what made it even better would be the amazing location in Singapore’s Little India and amazing French restaurant. Probably one of the most unique hotels Cape Town has on offer. The Silo Hotel is a new uber-luxe hotel slap-bang in the middle of tourist central – the V&A WaterHarborharbor shopping complex. A stone’s throw from other lux complexes like the One&Only. The hotel was originally a grain elevator portion of the historic grain silo complex but has been completely reimagined by designer-extraordinaire Thomas Heatherwick. While the interior is a bit kitsch, it’s the architecture that is sure to wow. 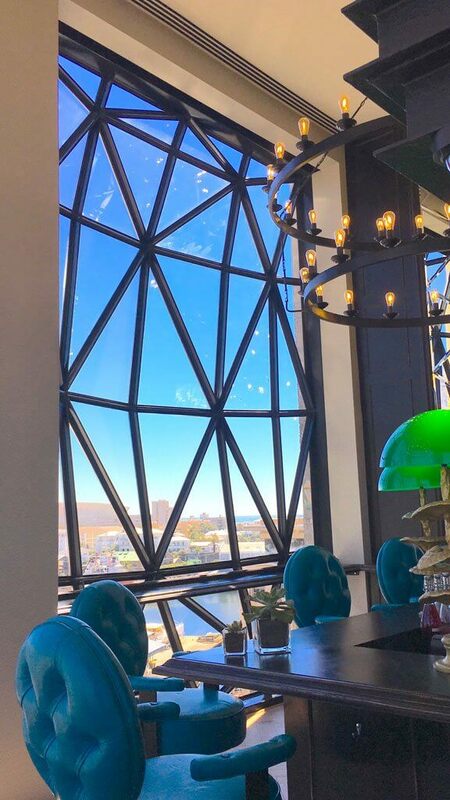 From the pillowed glass windows to views that are unparalleled in the entire Cape Town. It’s like being in a helicopter without the motion sickness. The Silo is also set to hold the not-for-profit Zeitz MOCAA that will house the continent’s largest collection of contemporary African art. A transition from storing grain to holding art and humans ain’t half bad for an old concrete structure. 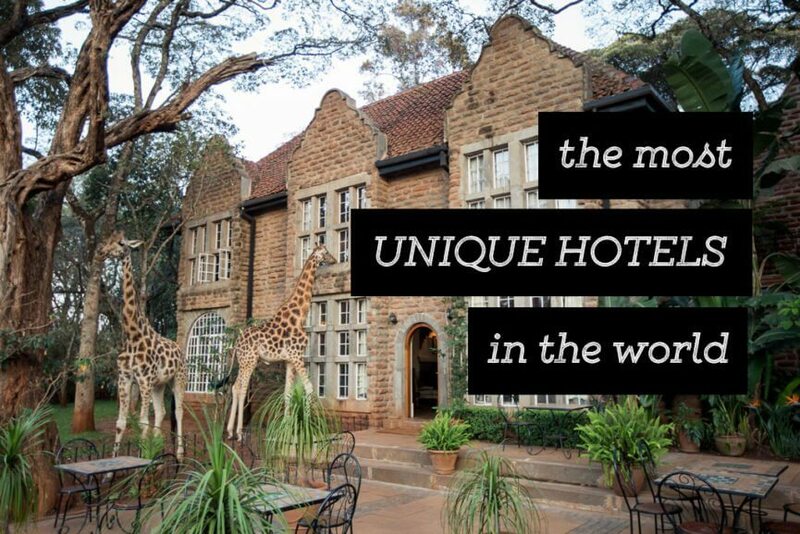 Giraffe Manor is an all-inclusive luxury boutique hotel that should be on every traveler’s bucket list. 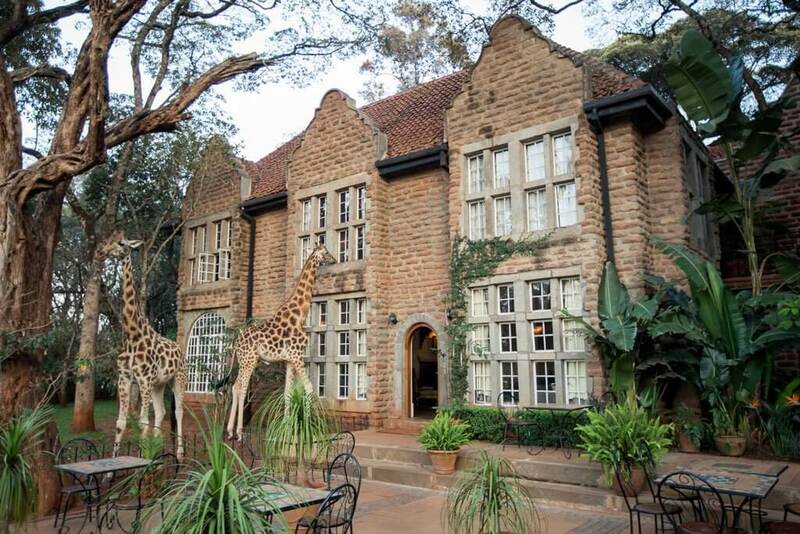 Nestled away in a wealthy suburb of Nairobi, Giraffe Manor serves as a sanctuary and breeding program for endangered Rothschild giraffes. While staying at Giraffe Manor, you will have the opportunity to hand-feed and interact with the giraffes twice per day – once at afternoon tea and again the next morning at breakfast. Some rooms even have direct giraffe feeding access straight from the window! If you want to get a room at Giraffe Manor, you are going to need to plan your trip early. Rooms tend to book out over a year in advance! 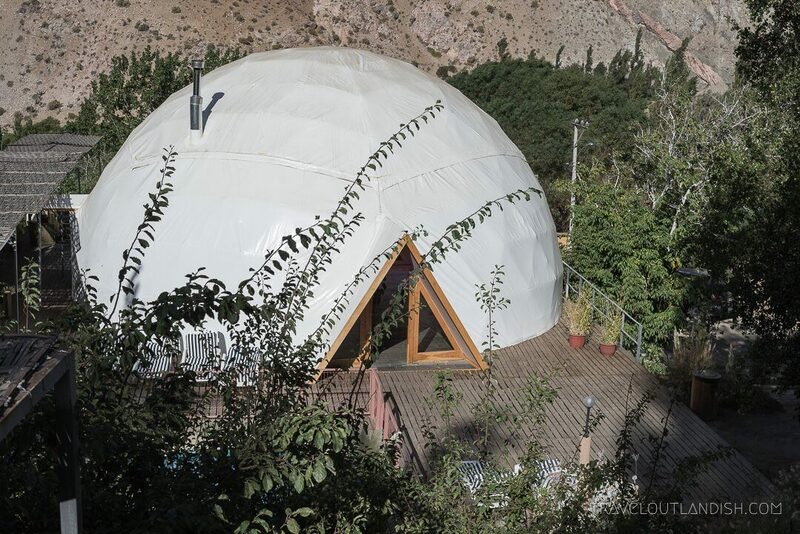 Just outside of Pisco Elqui, the Elqui Domos are a hotel of seven geodesic domes and three observatory rooms scattered on the hillside. 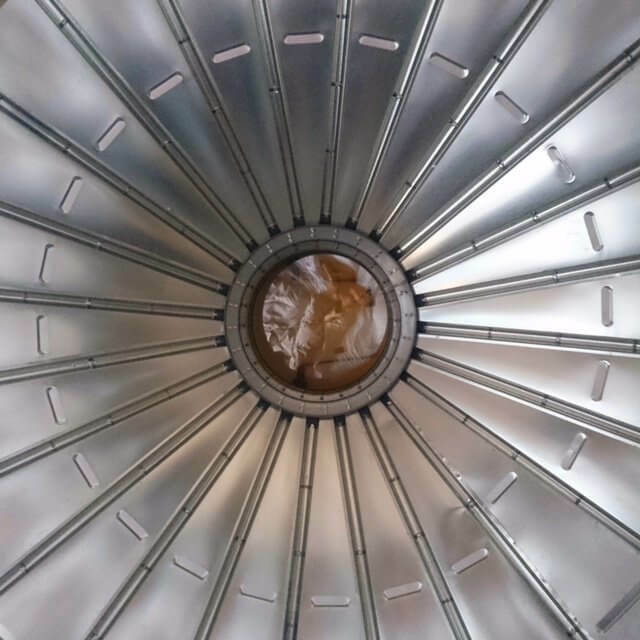 The domes are two stories of metal frames covered in PVC tent that is far from your standard tent on the inside — most impressive of all is the stargazing hatch that pops open on the top of your dome. In the verdant grape growing region of Northern Chile, you can spend the day learning more by riding bikes to nearby vineyards and distilleries or simply sipping piscola by the pool. But truth be told, the very best part of staying at the Elqui Domos is when night comes, and you can pop open the hatch on your dome and watch the sky change while you fall asleep. 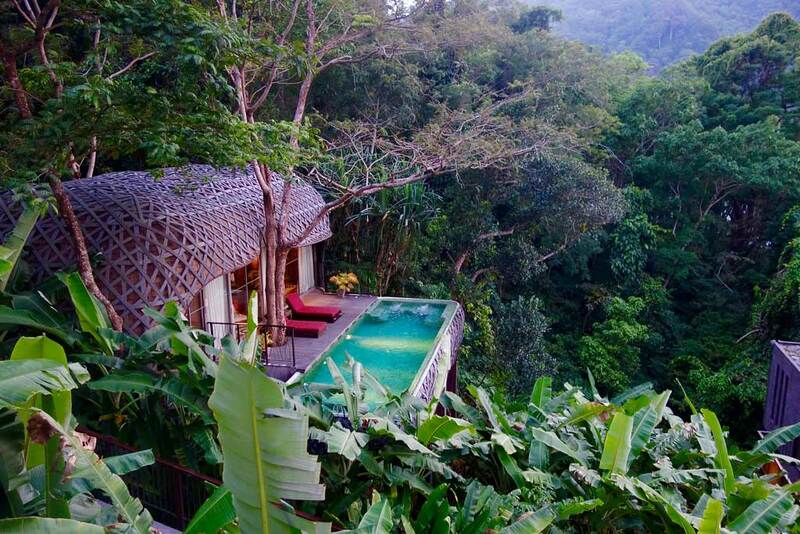 Keemala Phuket in southern Thailand is a one of a kind resort that combines absolute sophistication with fantasy. The theme of the property is based on four fictional tribes, each with its own mythology, personality, and architecture. 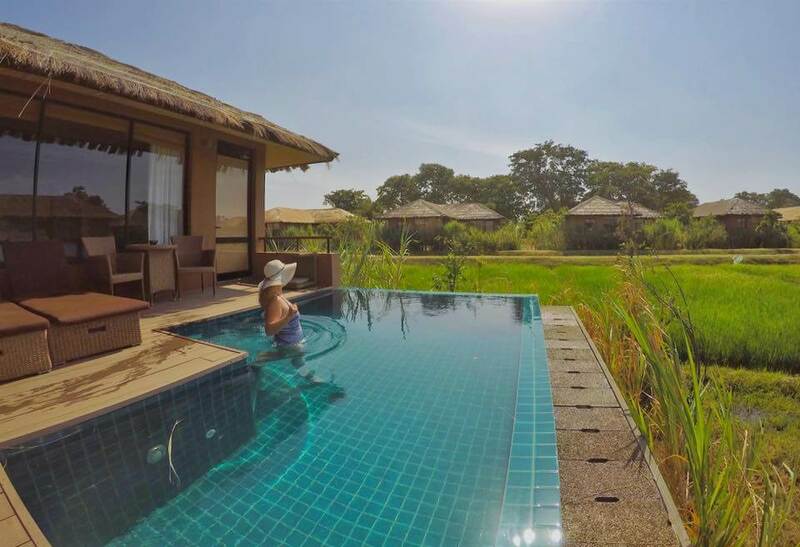 The four styles of villas, each with a private plunge pool, range from the Clay Pool Cottages of the earthy Pa-ta-Pea clan to the opulent Bird’s Nest Pool Villas of the Rung-nok clan, and no attention to detail is spared. Overlooking a lush tropical forest and the sparkling Andaman Sea, this enchanting resort on the island of Phuket is an ultra luxe escape built with creativity, imagination and a concern for the environment. To combat deforestation, synthetic eco-friendly materials were used and to conserve energy, buildings were designed to capitalize on natural light and airflow. An organic garden brings the locale into the kitchen while the property’s Mala Spa incorporates traditional healing therapies and medicinal plants into its wellness menu. It’s truly a place to unwind. Victoria Falls has long been on our travel bucket list and, to celebrate our once in a lifetime trip, we opted to stay at the Royal Livingstone, a luxury five-star hotel located on the banks of the Zambezi River. The views from the Royal Livingstone are beyond incredible. A short distance across the river the mist rises from the thunderous Victoria Falls and Livingstone Island, where David Livingstone himself first set eyes on Victoria Falls, is visible in the distance. It was from the island where he famously described the Falls as ‘scenes so lovely must have been gazed upon by angels on their flight’. The hotel does not only accept human guests: the antics of the resident wildlife are joy to watch! 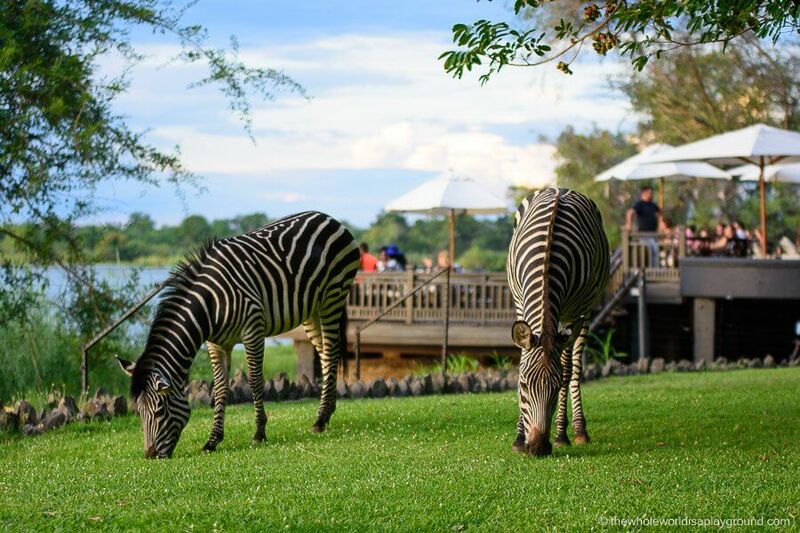 Zebras, giraffes and monkeys roam through the grounds and hippos and crocodiles make frequent appearances in the nearby waters of the Zambezi. The absolute highlight of our stay was the evening cocktails on the hotel decks on the edge of the river. Watching the sun set while hippos played in the surrounding waters as the Falls thundered in the distance was a truly incredible experience and one which we will always treasure. 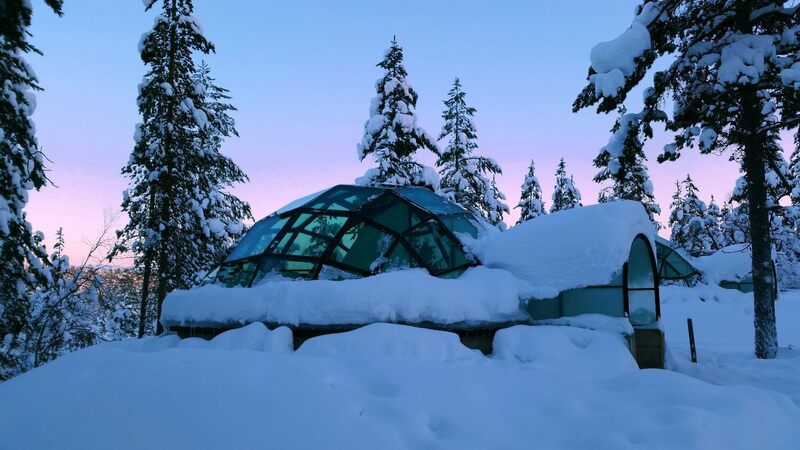 If you want a truly unique and mesmerizing experience, why not sleep in a glass igloo and enjoy the Aurora Borealis, right from the comfort of your bed? Kakslauttanen Igloo Village offers accommodation in glass igloos, cabins and even snow rooms (rooms dug into the snow), but you really can’t go past a stay in the glass igloo. here’s also a charming restaurant, serving local dishes (including reindeer), and a sauna. If you are brave enough, why not try to have the Lappish sauna experience? That is, sit in the sauna naked until you can’t bear the heat any longer, then run outside and roll in the snow! If that’s not a unique and memorable experience, I’m not sure what is! Imagine a stay in a cozy 100-year-old log cabin in the woods by a lake, combined with the luxury of a 5-star boutique hotel. 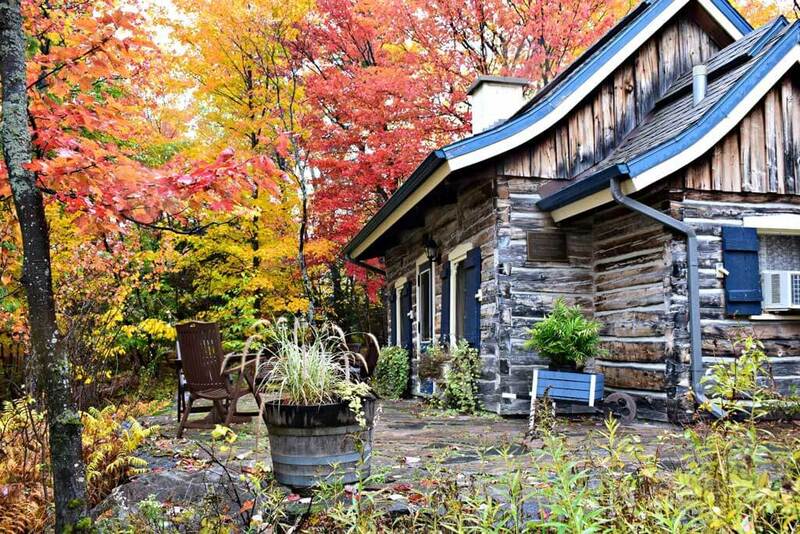 I rented the cabin for a fall getaway at Hotel Quintessence in Mont Tremblant, Quebec, about a 90-minute drive from Montreal. The authentic French-Canadian cabin is a short walk from the hotel and its gourmet dining, but it’s a private sanctuary in the woods for guests, and the occasional deer that wander by. What a place to relax! There’s an inviting four-poster, feather bed and a traditional cast iron claw food tub, both in front of a brick fireplace. With the fall colours ablaze outside, it was the stuff of fairy tales – Canadian style. Manta Resort is a special and very unique resort off the coast of Pemba Island, near Zanzibar, in Tanzania. 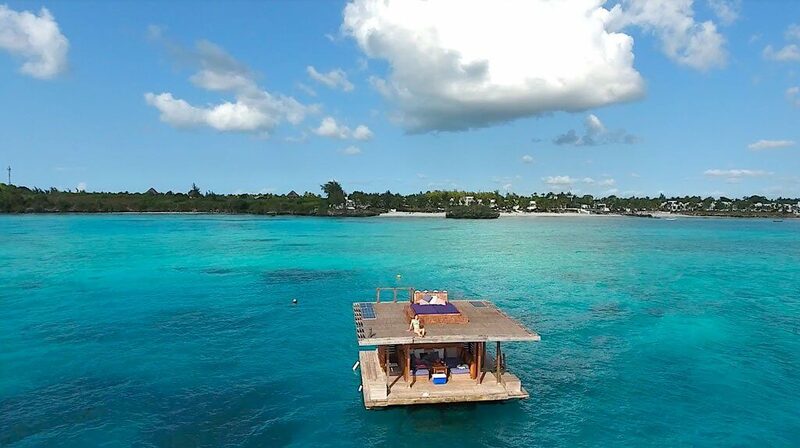 It is best known for its underwater hotel room in the middle of the sea. This floating room is anchored to the ocean floor and moves with the water and wind. When you stay there, you are completely alone although you are just a walkie talkie buzz away from the staff on the resort in mainland. The best feature of the room is its underwater bedroom, located about four meters under the water and surrounded by glass walls to see the fish. At night, the blue lights outside attract all sorts of marine life which are fascinating to watch. You can also sleep on the rooftop, under the Milky Way. Manta Resort is an incredibly fabulous hotel and a sure once in a lifetime experience. Waking up in a treehouse 67ft up in the tree canopy of the Peruvian Amazon listening to the jungle come alive is an experience I won’t forget. Our treehouse had everything we needed; a double bed with canopy, tables and chairs and a bathroom with proper flushing loo and a shower. The treehouse was wrapped in protective gauze so nothing could get in but we still had a clear view outside. I loved that it was an adventure to get to breakfast in the main lodge. We’d cross two suspended bridges and then climb down a staircase spiraling around the trunk of a Ficus. During the day we’d head up the river on wildlife spotting adventures with our guide. We discovered many different creatures; pink river dolphins wallowing in the waters, a giant river otter, fish and fish birds. We saw packs of squirrel monkeys, a woolly monkey, and sloths hanging out in the trees. Yab Yum feels like you have stumbled into the pages of a children’s fairytale. Set on Ashvem Beach in Goa, it is a charming escape from reality. Sandy paths meander between tall coconut palms, and hidden in its enchanted forest are giant domes which resemble super-sized coconuts. Garlands of bright orange magnolias hang from colossal wooden doors, and a hammock sways in the breeze of your own sandy terrace. 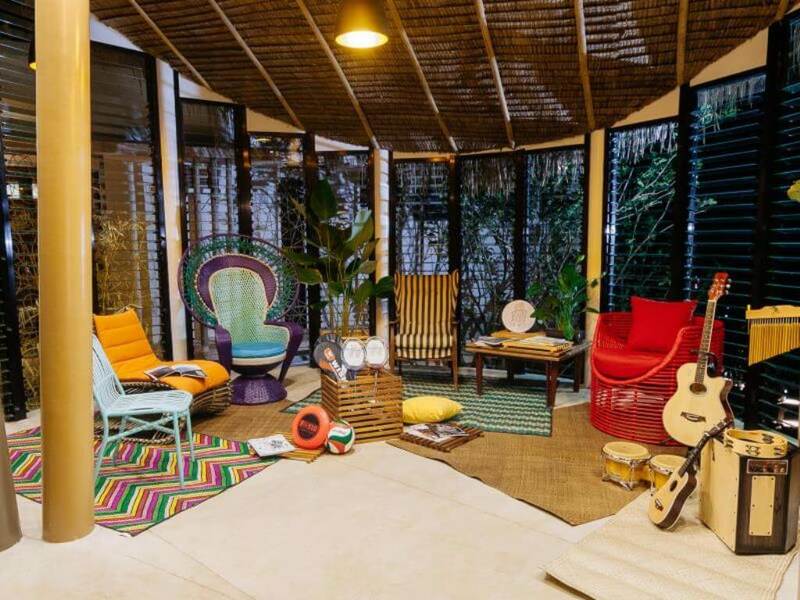 Inside the dome, a huge bed sits on a platform surrounded by mosquito drapes and a colorful seating area awaits. Perhaps the most unusual feature of this resort, however, is the resident ‘pet’. A large frog had taken up residence in our toilet, but once I got over the shock of accidentally discovering it (you can guess…), I became quite enamored with these creatures. This year I stayed with Lemala Camps, who have several camps throughout the country, from Ngorongoro crater to the Central Serengeti. Although the camps are all claimed as luxury, one need to keep in mind that everything that happens in the bush stays in the bush. So if you built a proper building, it will leave its marks – probably forever. That is why Lemala came up with camps that move from one place to another from time to time, just like the animals do. So everything you see, when checking in your room, has an expiration date. At least for its existence at this exact place. There are giraffes grazing while you have breakfast outside and elephants passing by your tent at night. Convinced? We were told Vythiri Resort was all about nature. They weren’t wrong, When we arrived, we really were in the middle of nowhere, surrounded by the Indian jungle. They’ve done there best to keep you as off the grid by limiting wifi to the common areas yet this has everything a beachside resort has. The first room we looked at was the treehouse. 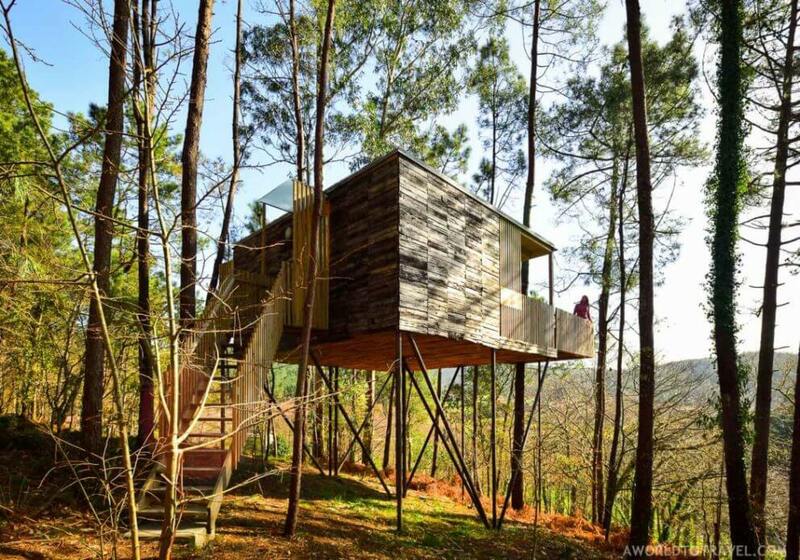 These are not wannabe treehouses. They’re located at least 10 metres above ground. They’re well constructed, it’s like your childhood luxury tree house in reality. 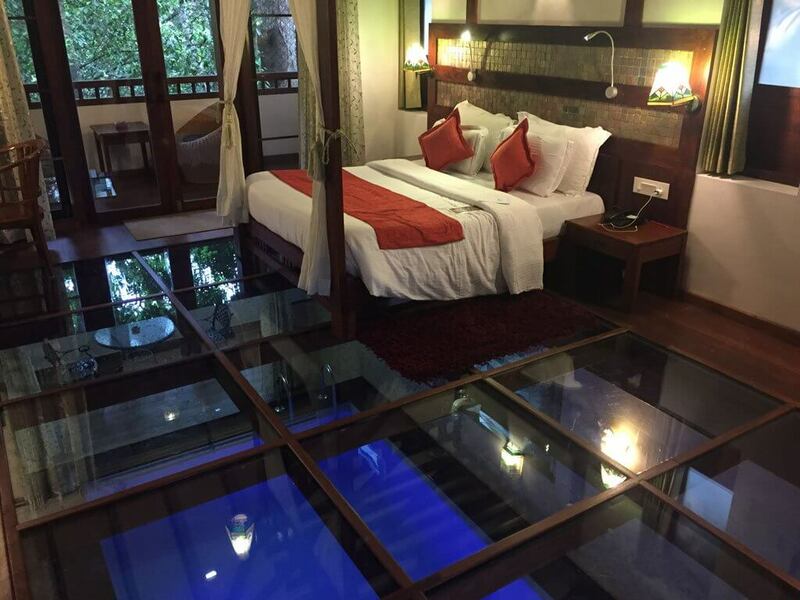 We, however, had the chance to stay in the honeymoon villa, with the obvious main feature being the glass floor of the bedroom that you can see through to the private pool below. I wasn’t on a honeymoon so it was bizarre staying here alone. And yes I did jump down as hard as possible on the glass, it’s not going to break. I’m not sure how attractive I’d look doing backstroke from above. You? 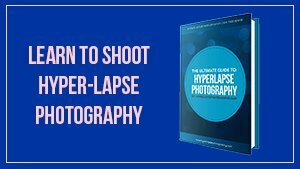 Bolivia is famous for its stunning salt flat, a geographic wonder that allows photographers to play with perspective and which makes visitors feel like they are on an alien planet. Right on the edge of the salt flats sits the Luna Salada Hotel, which is made almost entirely out of salt. The walls are constructed from large bricks of salt, much of the furniture is made from compacted salt, and the floors are, well, you guessed it — salt! After escaping protesters in the nearby town of Uyuni, I stayed in the hotel just prior to setting out on a 4WD expedition through the salt flats, and I loved the remote location and unique atmosphere. Guests can rent bicycles to explore the salt flats themselves, pass time relaxing on the deck looking out over the desert, or enjoy the hotel’s excellent kitchen. Not to be missed: the nighttime star-gazing excursions, where it’s possible to see the entire Milky Way! Do you fancy sleeping with wild animals? I know, too easy, right? 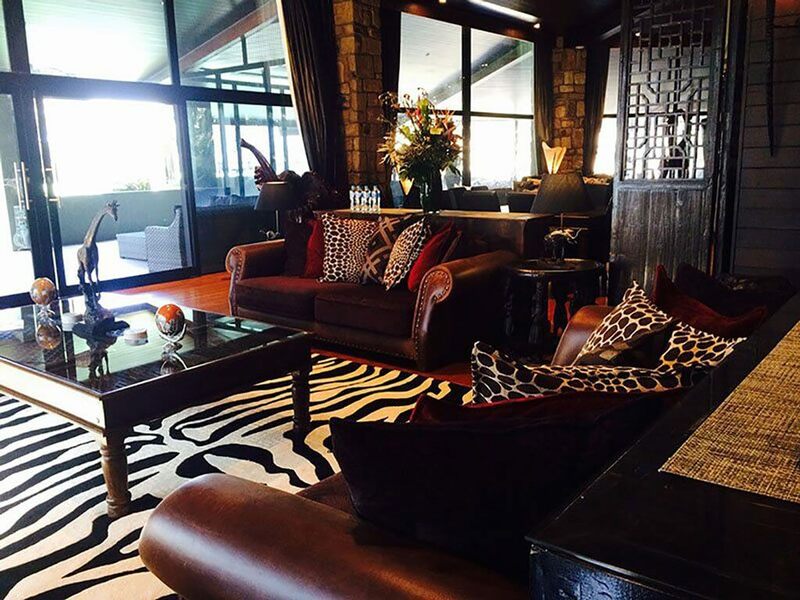 At Jamala Wildlife Lodge in Canberra, Australia, you do literally sleep with wild animals in the luxury resort. We slept with a giraffe who kept sticking his head in the door. His name is Hummer, which is short for Humbekhali. Other guests slept with lions, cheetahs, tigers, some with a Malayan sun bear. This 5-star luxury resort had a purpose; all money raised for the lodge goes into helping the animals, many of them rescued from situations like the palm oil plantations. Staying at Jamala Wildlife Lodge, includes your beautiful African themed accommodation, tours of the park and an African Dining Experience. It is one of the most unique hotels in Australia. 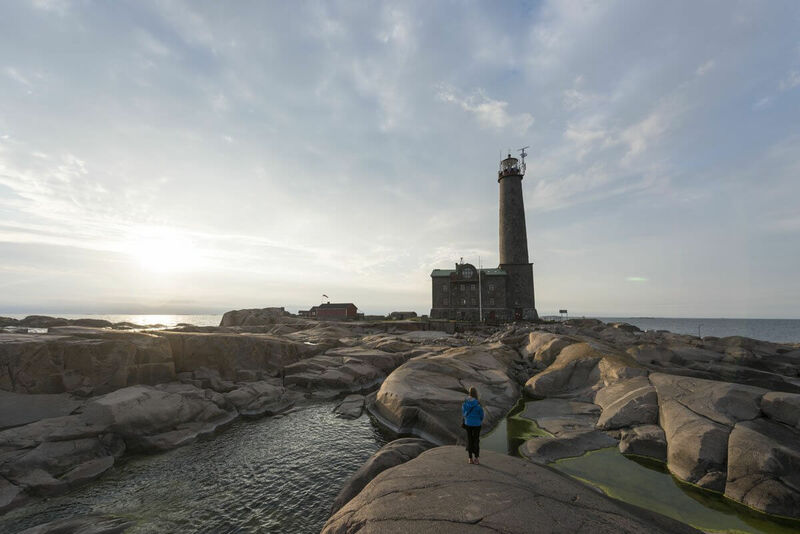 During a week sailing and walking across paradise islands, with nothing but nature around us in the Finnish archipelago, we had the opportunity to stay at a truly unforgettable place – Bengtskär, a tiny islet in the middle of the Baltic Sea with a small lighthouse hotel. The atmosphere is really hard to beat. The islet is maybe 50 meters across and it’s surrounded by the sea and the elements, and during the 24 hours we spent there we experienced all kinds of weather, from sunshine to rain, cloud, fog and even a little hail! Accommodation is in the former lighthouse keeper’s quarters and only about 8 people can stay every night, meaning that peace and quiet are pretty much guaranteed. And in true Finnish style, there’s also a sauna! One of the most unique hotels I have ever stayed in was Water Garden Sigiriya in Sri Lanka. The entire hotel complex is surrounded by various water gardens and ponds, to resemble the King’s Gardens at nearby Sigiriya. Every room is a villa and every villa has its own private pool, making it one of the most luxurious places to stay in Sri Lanka. There is also a living room, a bathroom the size of a small apartment, and an infinity pool with perfect views of Sigiriya Rock. This is one very special hotel I would do anything to go back and stay there again. 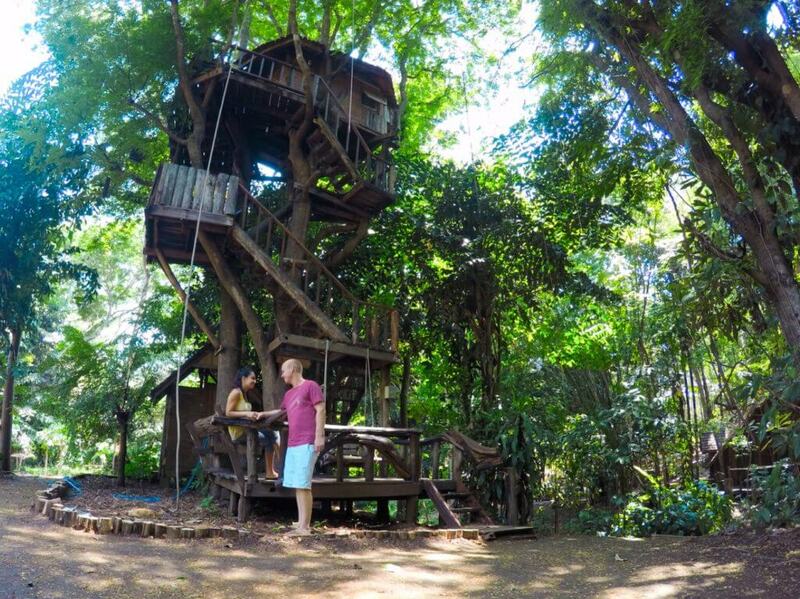 When I heard about tree houses that I could sleep in and were more than just the rickety wooden structures that children everywhere attempt to build, I jumped at the chance to book that stay. The Mohicans is a 75 acre plot of land in central Ohio, USA that houses a number of beautifully handcrafted tree houses that are family friendly and actually pretty luxurious. 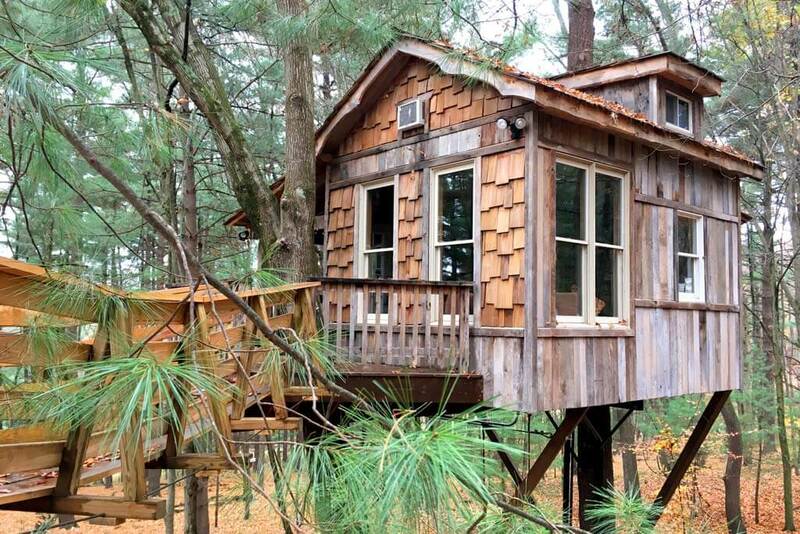 Featured on Animal Planet’s “Treehouse Masters”, the tree houses will invite you in with rustic charm but house all of the amenities you’d hope to find in a hotel. The tree houses have been lovingly crafted with sustainable design concepts in an effort to respect and protect the environment, too. Sleeping in the trees in such comfort is seriously an experience that should not be overlooked. From a romantic getaway to a family reunion, The Mohicans is the perfect yet unique place to stay right in the heart of the Midwest. Every now and then you come across a very special place that you simply must experience once in your lifetime. Silky Oaks Lodge in Australia’s Tropical North Queensland in one such place. 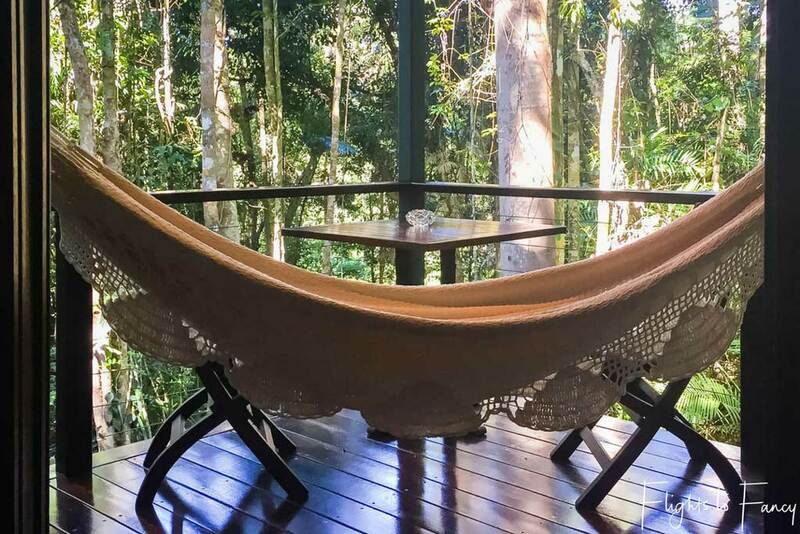 Silky Oaks Lodge is located smack bang in the middle of the Daintree Rainforest and the mighty Mossman River runs straight through the grounds. The special treatment starts the moment you arrive with welcome drinks in the jungle perch overlooking some of the most pristine rainforests you will ever see before you are personally escorted to your rainforest treehouse. After checking in, go for a dip at billabong beach, relax beside the fabulous resort pool or book in for a heavenly facial at the onsite spa. Be sure to join the guided walk before enjoying dinner at the acclaimed in-house restaurant and afterwards cozy bar beckons. As darkness falls, retreat to the luxury of your spectacular treehouse and enjoy the serenity while swinging in your hammock gazing up at the Southern Cross in a pitch-black sky. It’s just another day in paradise at Silky Oaks Lodge. Glamping in Galicia’s Serra de Outes was carefully brought to life by Addomo architecture studio, the design took into account the intimacy of each building and the views of the nearby mountains of the Barbanza peninsula, Tremuzo, A Pena and Muros and Noia estuary. Every construction respected the existent forest trees and their roots, with come even more alive as the building shapes, lights and shades are defined by them. In short, they will delight any design and sustainable architecture enthusiast. A resort in the jungles of northern Thailand is just about as uncommon as it gets when it comes to unique accommodations. In fact, even within this resort, each accommodation itself is designed differently. 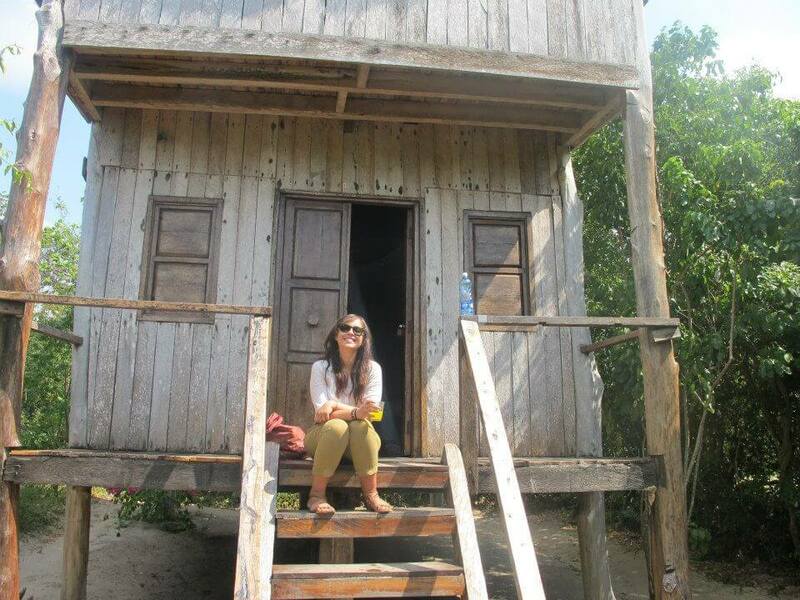 The cabin-like treehouses are the artwork of a retired architect who owns and runs Rabeang Pasak Resort. We stayed in the popular Tamarind House that seemed to be the tallest tree. You don’t get wifi or electricity in the trees but you do get a private open air shower and toilet along with a very comfy bed. Being “unplugged” in the treehouse was a welcome change as it allowed us to listen to the sound of rain and feel the sway of the tree in the wind. This experience provided both a connection with nature and a hassle-free, tranquil getaway. The resort offers some exceptional meals so there’s no need for a campfire or groceries. If you do feel like getting out and about, you can borrow a bicycle and venture out into the small village and forest surrounding. 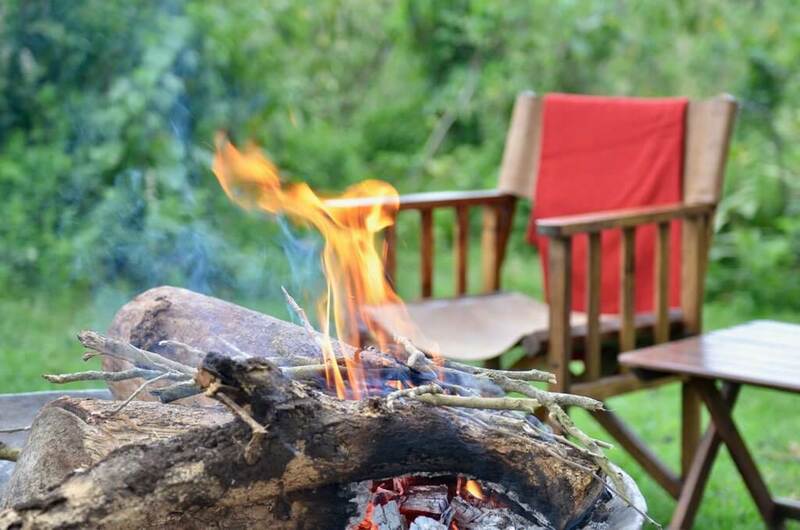 Madulkelle Tea & Eco Lodge offers an amazing “glamping” experience just an hour’s drive away from the heart of Kandy in Sri Lanka. Each of its 18 safari-like lodges have the most incredible views over Kandy’s mountain ranges and the rooms all boast their own private balcony overlooking the lush Sri Lankan tea plantations below – I’ve never seen so much green in my life! 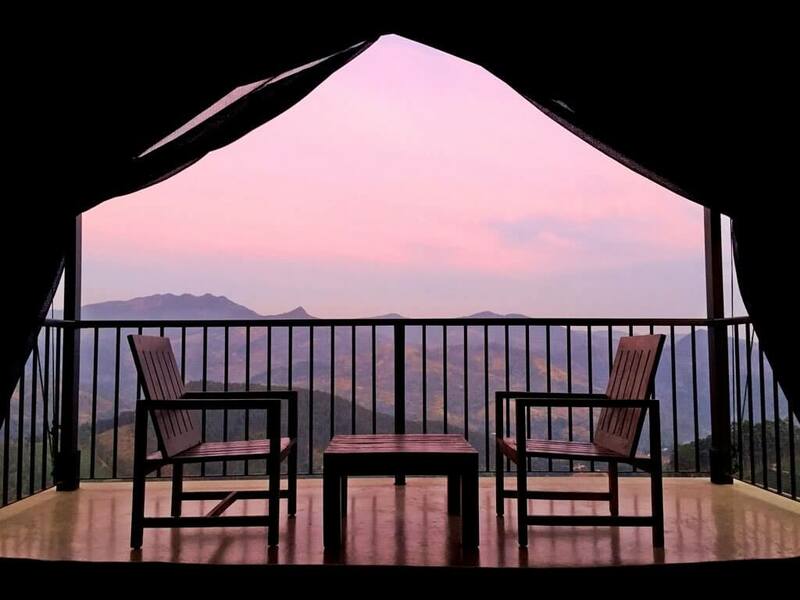 Every afternoon, we sipped tea (naturally) on the balcony and watched the sun go down over the misty mountains and in the morning, we were offered out-of-this-world views of the sun rising and illuminating the hills, little by little. The stay at Madulkelle is unlike any I’ve ever experienced – if you love warm hospitality, incredible food, amazing views and casual luxury, you’ll find yourself right at home here! But EcoCamp Patagonia offers glamping in roomy, well-appointed and eco-friendly geodesic domes in the choicest spot you can imagine – at the foothills of las torres, the granite towers the Park is named for. It’s a perfect alternative between camping and a luxury hotel. 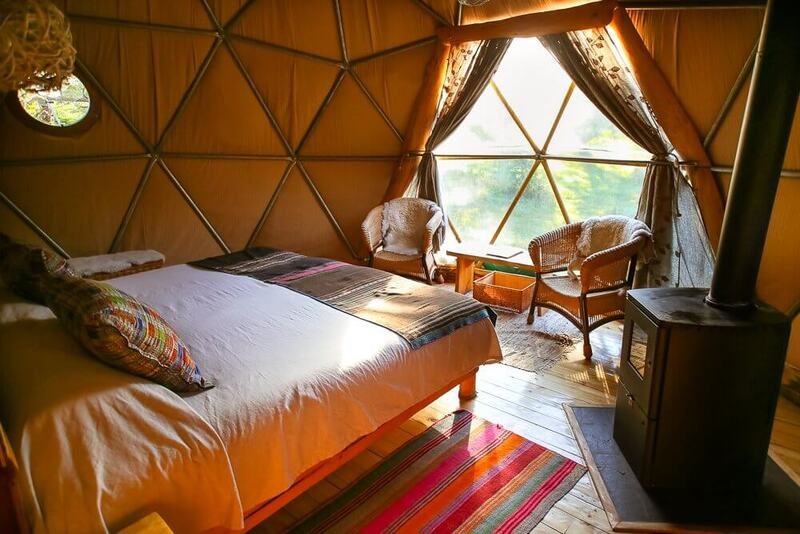 EcoCamp offers a range of domes to fit any budget, yoga classes (which feel great after a day or hard hiking), organized tours and guides, excellent cuisine, and a relaxed community feel among guests and staff. The fact that they’re also the greenest hotel in all of Patagonia is just icing on the cake. Feynan Ecolodge is the kind of hotel that makes a trip worth it. Lots of hotels nowadays use the “ecology” badge, but few of them actually implement policies to protect the environment. Feynan Ecolodge is one of them. 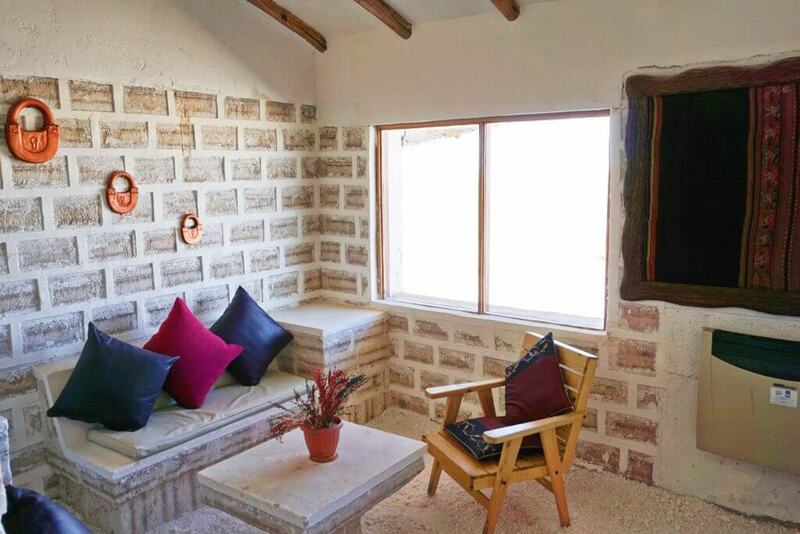 Located in the Bedouin village of Feynan, in Dana Nature Reserve (Jordan), the hotel is an adobe construction, with beautiful, stylish rooms. There is no electricity in the rooms, aside for a light in the bathroom, and for electricity in the reception area. When it gets dark, candles are lit and placed around the hotel: it gives it all a special atmosphere. As there is literally nothing around the hotel in terms of restaurant, guests eat their meals at the hotel. Dinner is served buffet style in the beautiful, candlelit dining room. All the food is prepared there, and everything is vegetarian and vegan: the lack of electricity means there are no refrigerators to store any meat products. Water is filtered, to save plastic waste. The hotel offers a wide range of activities, which include short and longer hikes in the surrounding areas, and star gazing: thanks to the complete lack of light at night and to a good telescope, it is the perfect place for that. A few cats roaming around the hotel add to the atmosphere. Needless to say, the staff is incredibly kind and friendly and the entire place completely spotless. 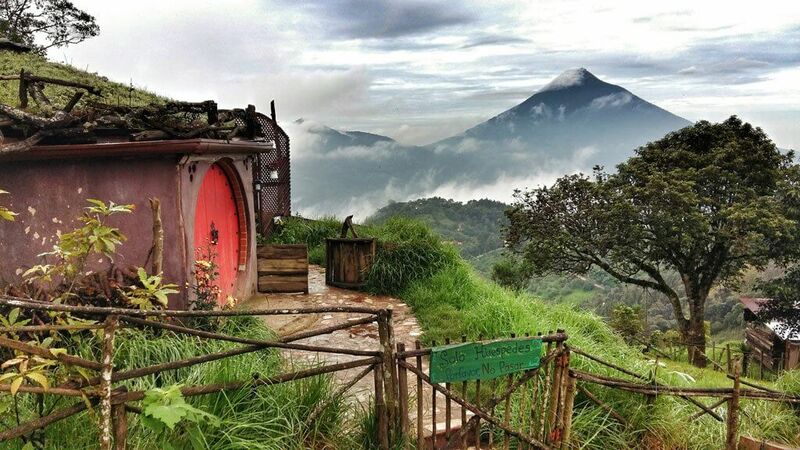 Hobbitenango is an eco-hotel and restaurant themed around the Hobbit and Lord of the Rings. You can spend the night in a hobbit hole, eat a troll burger for dinner and even take part in archery and ax throwing competitions! The hobbit holes are cozy and warm, with a log burning fire that the staff light for you in the evening. When I stayed, the afternoon I arrived was cloudy, so when I woke up to views of Antigua’s volcanoes across the valley I couldn’t believe it! It really did feel like Middle Earth, and the owner has plans to create quests for their guests, including hiking the nearby volcano to cast a ring into its fiery depths. I loved it here, it felt so magical and fit for any wannabe hobbit, elf or wizard! Blink and you will miss this hidden gem. Well hidden in plain sight that you will drive right on by on the road from Christchurch to Akaroa. There’s a small, delightful town called Little River. Which hosts no river and is of questionable size. So how could we resist sleeping in an eco-friendly grain silo? From the moment we pulled up into the car park I was mesmerized by the artist sentiment and the details of the silo and their surrounds. The first thing that catches the eye is well the 9 big shiny silver silos. You really can’t miss these and I’m not sure how anyone actually drives by and doesn’t stop in. The silos are two story, fully self-contained and are a piece of art in themselves. The bottom floor offers a teeny tiny uber cute kitchenette, a toilet and chocolate. The kitchenette hosts a tiny fridge, stove top, kettle and the usual kitchen necessities. It wasn’t until we had a full night, toasty warm sleep that we got to experience how wonderful this part of the silo is. The bathroom space may be small and curvaceous but it packs a punch with happy hot water and a few extras that I’m not going to tell you. I’d hate to spoil this experience of exploration for you. 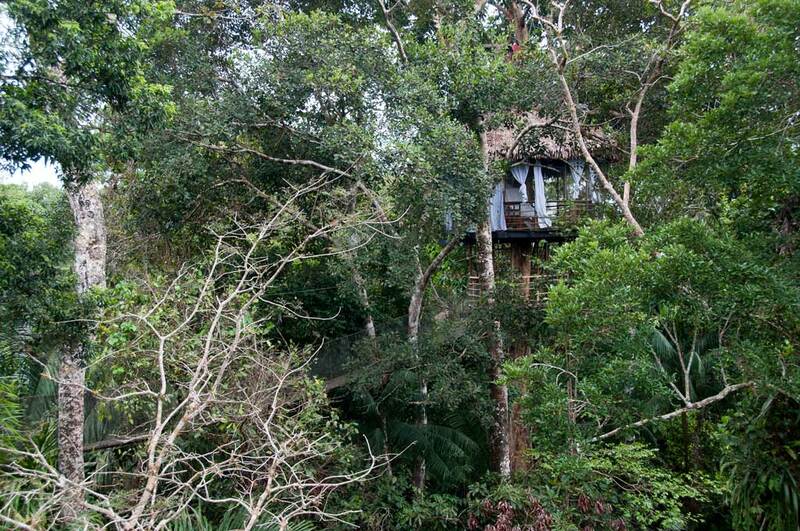 Spend a night among the treetops in a treehouse surrounded by Sri Lankan jungle. This retreat, called Dehigaha Ela (meaning ‘lime tree stream’ in Sinhalese), is just a half-hour drive from the landmark Sigiriya rock fortress — but feels worlds away. Run by Back of Beyond, a locally owned and operated company, Dehigaha Ela is a nature lover’s dream: an eco-friendly property set on 7 acres of restored wilderness. Amid the rainforest is a stream and rockpool where you can swim and get natural pedicures courtesy of fish nibbling at your feet. But the best part is the treehouse itself. With a surprisingly spacious, two-story semi-open plan design, you’ll shower under the blue sky and sleep under a thatched roof that’ll keep you dry even in the case of intense storms. 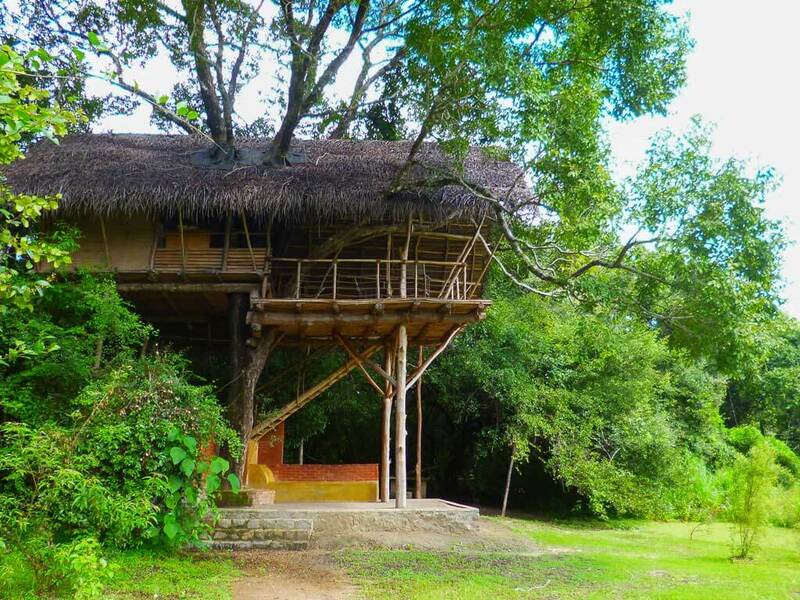 Relaxing and taking in the views of the lilypad-strewn pond and jungle surrounds from your treehouse home, you may even get a visit from a monkey, chipmunk, lizard or two. Birds and butterflies are virtually guaranteed. There’s nothing like falling asleep to the sounds of the jungle and glow of fireflies and being stirred awake by a sunrise above the jungle canopy. Kenya’s East Coast is a beautiful place to explore with beaches that would rival those in The Carribean. When I visited Kenya after graduating from uni, I finished my trip at a place called Mida Creek Eco Camp in the Northern beach town, Watamu. Mida Creek Eco-Camp was set up as a community project to help locals find access to healthcare, schooling and agriculture. It’s a great initiative to support on a trip to Kenya. Built on a unique biosphere, this is the perfect place to visit if you want to tour mangroves or go bird watching. It’s in a secluded area with little access to electricity. Each room comes with a kerosene lamp that will be your only light source when the sun goes down making it a unique experience! The guys in the kitchen make the most amazing dinners every night- I loved the grilled fish! The accommodation is made up of traditional huts of different sizes. I stayed in the Zanzibar hut which had amazing views out over the mangroves. The roof platform was the perfect place to chill out with a Tusker beer and stare at the masses of stars with zero light pollution. 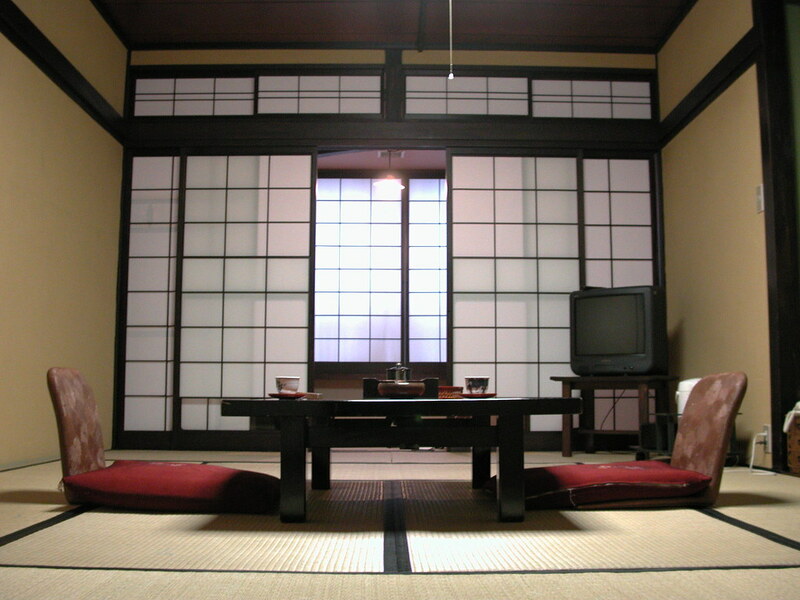 A ryokan is a traditional Japanese inn that originated in the Edo period. The original idea was that exhausted travelers could stop and stay at the ryokan. If you are after a uniquely Japanese experience, then staying at a ryokan will give you this. We have stayed at many ryokans in Japan, but we enjoyed Oyado Koto No Yume in Takayama, in the Japanese Alps and Shirakawa-go, a UNESCO listed thatch-roof village.This is all about the authentic experience of sleeping on a tatami mat on the floor, taking your shoes on and off, wearing the wear yukata, a lightweight kimono, and bathing in the communal though segregated onsen. It was all about local food made by the owners, and communicating with our hands. Staying in a ryokan is uniquely Japanese and an excellent way to understand the culture of this country. The world has some unique accommodations, but a Buddhist temple in Busan, South Korea tops our list. 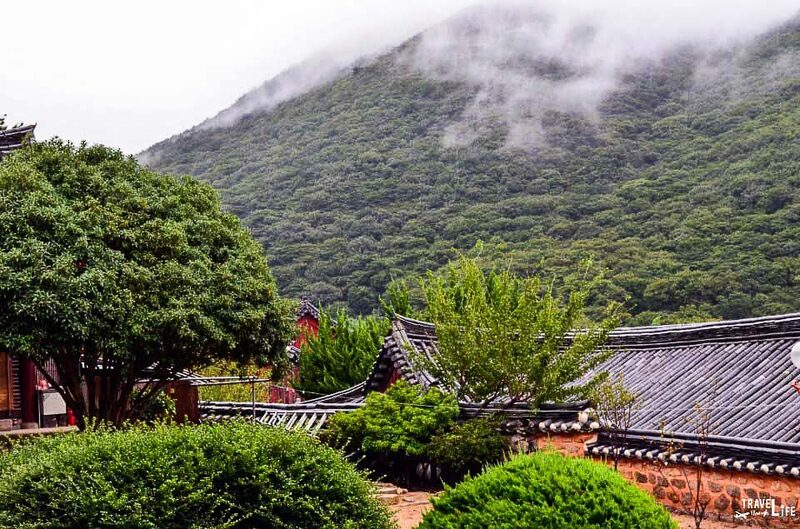 Many temples throughout the country offer the “Templestay” program, where participants spend a day or two praying, bowing, and learning more about Buddhism in Korea and throughout the world. We chose Beomeosa Temple and found it to be a genuinely fulfilling and exhausting exercise at the same time. Before going to bed, we performed 108 full prostrate bows and saying an individual prayer each time, all while beading a necklace that I still own to this day! I’ve heard of Korean barbecue being served at some temples, but for us, our rations were a light, albeit delicious, helping of rice, kimchi, and other mixed vegetables. To cram everything into a very short period, we awoke at 3 am to do our second round of 108 bows, followed by a morning hike to a hermitage nearby for a short meditation session. A tea ceremony and closing events rounded out the experience. It may sound like a jam-packed and daunting experience, but if you’re ever able to do this in South Korea, please try this. You’ll never forget it! Paying a minimum of $200 per night in a trendy hotel doesn’t always guarantee you are going to be comfortable. 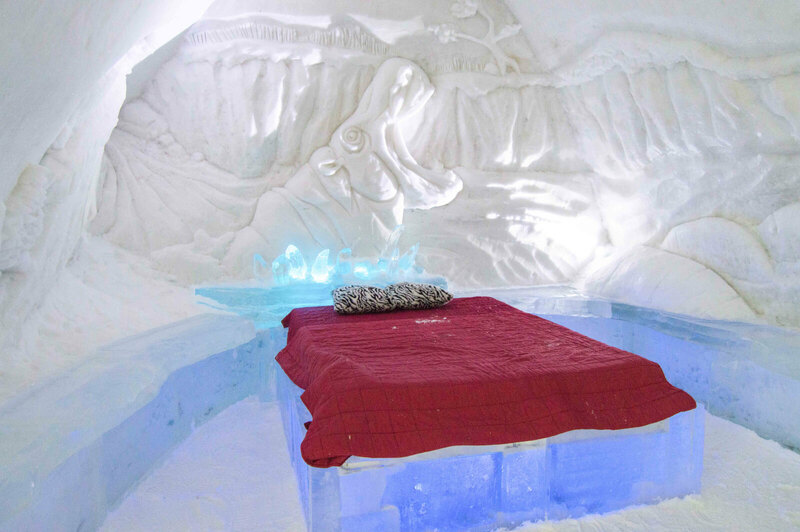 Imagine that the temperature in the said hotel is constantly at -5°C (22°F) and you have to spend a night inside a sleeping bag on a bed made of ice! Definitely not the most comfy option, but boy will you remember this experience for years! Hotel de Glace in Quebec City fully made of ice is not for the faint at heart. Everything from walls and ceilings to beds and fireplaces is constructed of snow. About 25 000 tons of snow is required to build the hotel from scratch every year. It is only open from January to March when you can book a room and stay overnight. With any room, you get access to hot tubs and sauna under the stars. If you are not ready to brave the cold, you can always visit the hotel during the day for a modest price of $16, take a guided tour and drink a cocktail at an ice bar! Madonna Inn in The U.S. If you love a good theme then you will want to check out one of the most unique hotels in the world in San Luis Obispo, California. The Madonna Inn is famous for its kitschy and over the top themed rooms. No two rooms are the same and each room has its own character. Phyliss Madonna, half of the Madonna Inn duo, loved decorating and loved the color pink. You can find many pink rooms and even the hotel dining room is decked out ceiling to floor in 50 shades of pink. 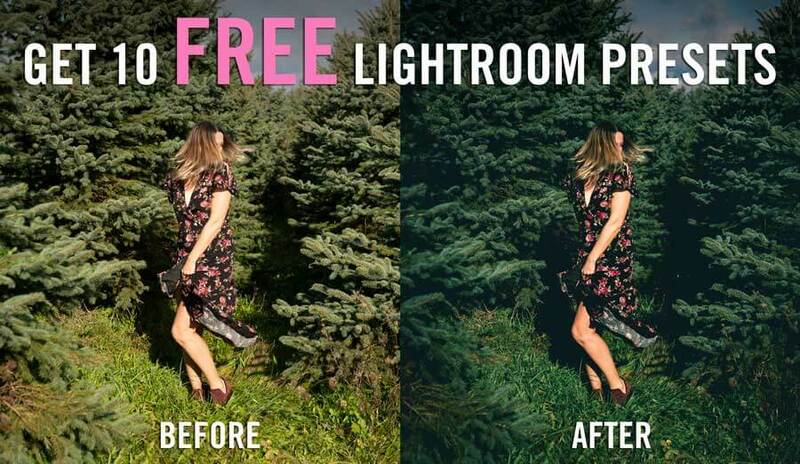 If you don’t like pink then don’t worry, there are still room options for you such as one of the many cave or rock rooms that have literally been built into the earth and rock. You really can’t compare this place to anywhere else and is worth staying at least one night in this iconic hotel when going through central California. 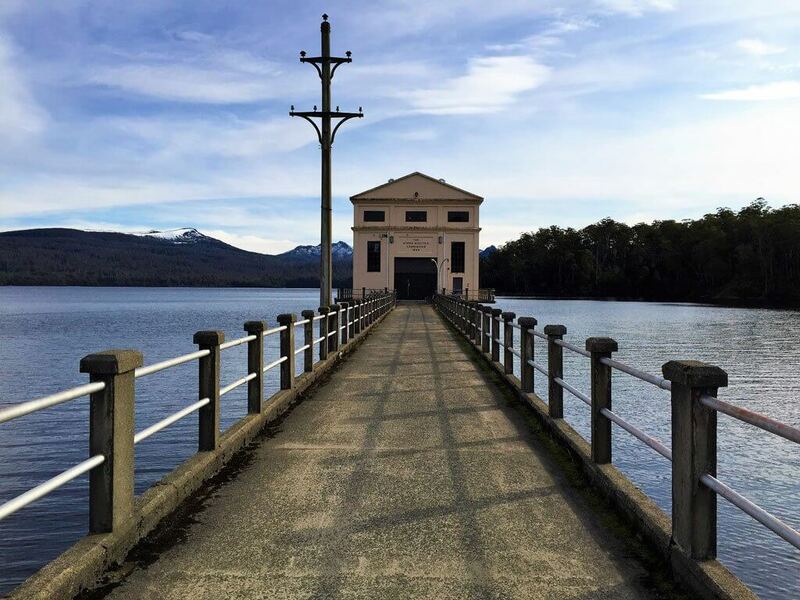 Pumphouse Point is a boutique hotel located on Lake St, Clare in Tasmania. The lake is part of the World Heritage-listed Cradle Mountain National Park and the 2 main buildings of the hotel were (briefly) pumping stations for the Tasmanian Hydro electricity scheme. It’s a 2 hours drive from Hobart or a 45 flight by seaplane. Open two years the hotel is beautifully appointed with comfortable rooms and cozy communal sitting areas complete with log fires and honor system bars. Good, hearty food is served in the dining room and picnics can be purchased.At the nearby Lake St Clair Lodge and Visitors Centre, you can choose from a grueling all-day trek up Mount Rufus or gentler lakeside strolls. It’s a stunning restoration and well deserved of the accolades and awards it has received in such a short time. It’s a very isolated location which makes it a very tranquil, private and romantic destination and there is nothing else like it in Australia. 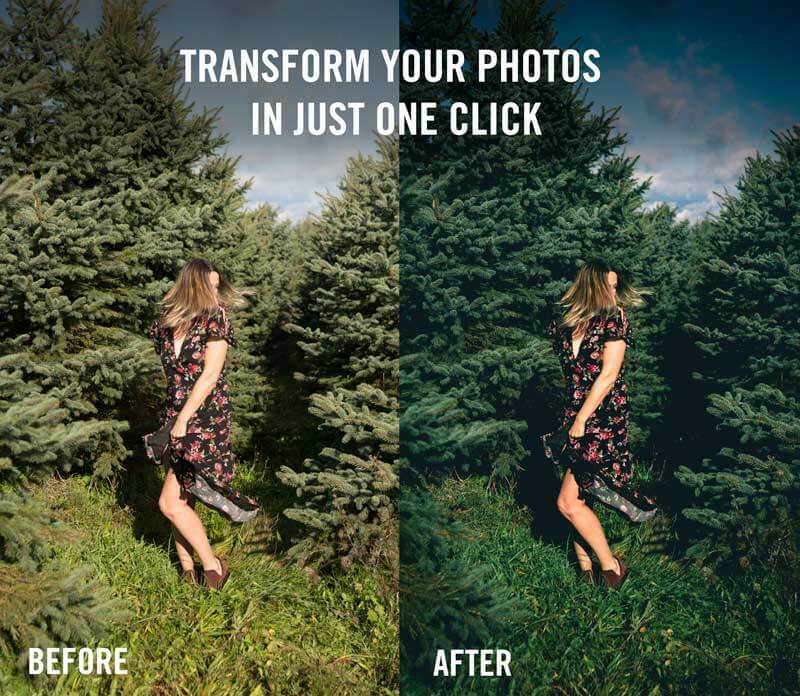 One thing that makes SPIN truly stand out from the competition is their design. Designer Hotel may sound lofty at first, but a title apt and really well-deserved. The rooms are huge with beds lie on the either end but still has enough space to move. The common bathroom (yes, for men and women!) is surprisingly spacious housing toilet and shower rooms. You’re also entitled to a breakfast and the good thing about Spin is that they have a cook that cooks your meals upon order right in front of you. During the night, people will be asking you to join on their games (either a bingo night, music night, etc) that will definitely give you a unique experience and treatment, unlike any other hotels. If there will be people to ask me about what’s our recommended hostel in El Nido, it would be Spin Designer Hostel at the top of my list. When we booked El Ciervo Hotel, for our stay in the Val d’Aran, a popular ski resort in the Spanish Pyrenees, we expected a standard two-star accommodation. When we checked in, the lobby looked welcoming and cozy, and so did the room; I’d rate it at the high end of the three-star range. The breakfast, though, was completely over the top. Each platter, dish, bowl or plate crowded onto the table held a different item. I’m not talking about slices of meat or different kinds of bread. I’m talking about the most amazing range of complicated homemade concoctions, both savory and sweet, that I have ever seen. Tiny filled tortes. Hand-rolled crepes, each standing in its own cylindrical holder. Small wonton-like packets, tied shut with strips of zucchini. Round piles of egg/potato/bacon, each on a separate plate, garnished with chives. Flaky pastries loaded with jam and sweet cheese. Individual potato chips, pinned with miniature clothespins to a tiny clothesline. Along with the usual range of bread, pastries and finger sandwiches. It was extraordinary. And it didn’t end there: a free “tasting” takes place every evening, including drinks. Order tea in the afternoon and you’ll get a selection of sweets to go with it, also free. Forget the skiing: stay here for the food! Old Mac Daddy is a luxury trailer park that’s situated in Elgin, South Africa. 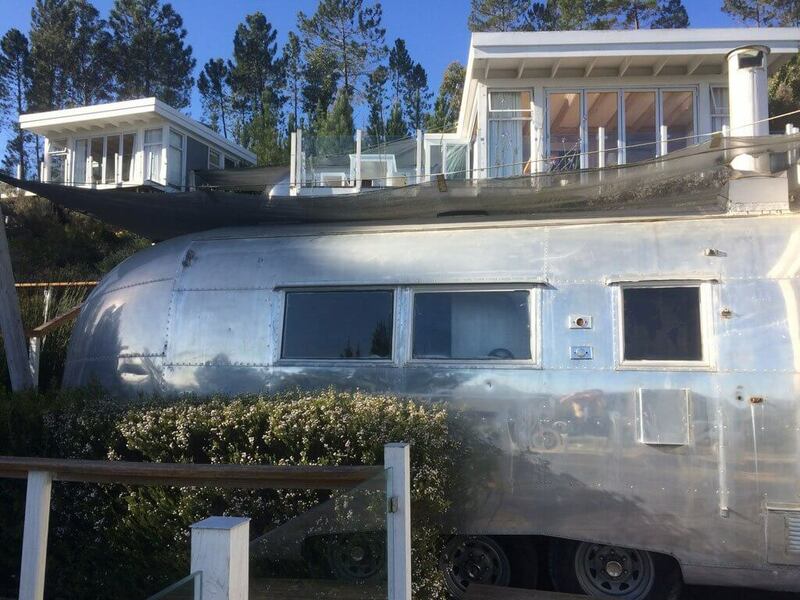 Guests stay in luxurious airstream trailers, each one decorated with a different theme. ‘Dirkie Sanchez’ is probably the most unique of the themes – the bed is inside a wrestling ring, and guest are even offered outfits to dress up in – but there are plenty of tamer themes like ‘yellow submarine’ and ‘Give Bees a Chance.’ Each trailer is attached to a static unit which features a large bathroom and lounge area, with incredible views that overlook the nearby vineyards. There’s plenty of keep you busy on the grounds like archery, kayaking, and cycling. If you’re feeling lazy, there’s also a lakeside bar or a restaurant. If you’re visiting during South Africa’s winter months, there’s nothing better than relaxing beside the crackling log fire inside the restaurant with a glass of South African ruby wine (yes, South Africa makes Port too!). Nearby, several of the vineyards offer tastings and have onsite restaurants that serve local and international favorites. If you’re looking for something boutique but also a little bit different, Old Mac Daddy is the perfect blend of both.